Without a doubt, I overuse the word swoon when it comes to design. The official Merriam-Webster is to become enraptured, and well, with some things there just isn’t a better description out there. That being said, I am mega-swooning over new lighting from Foscarini. The Venice-based company is no stranger to enrapturing design. Foscarini lighting is bold and provocative, translating emotions and personality into functional lighting fixtures. 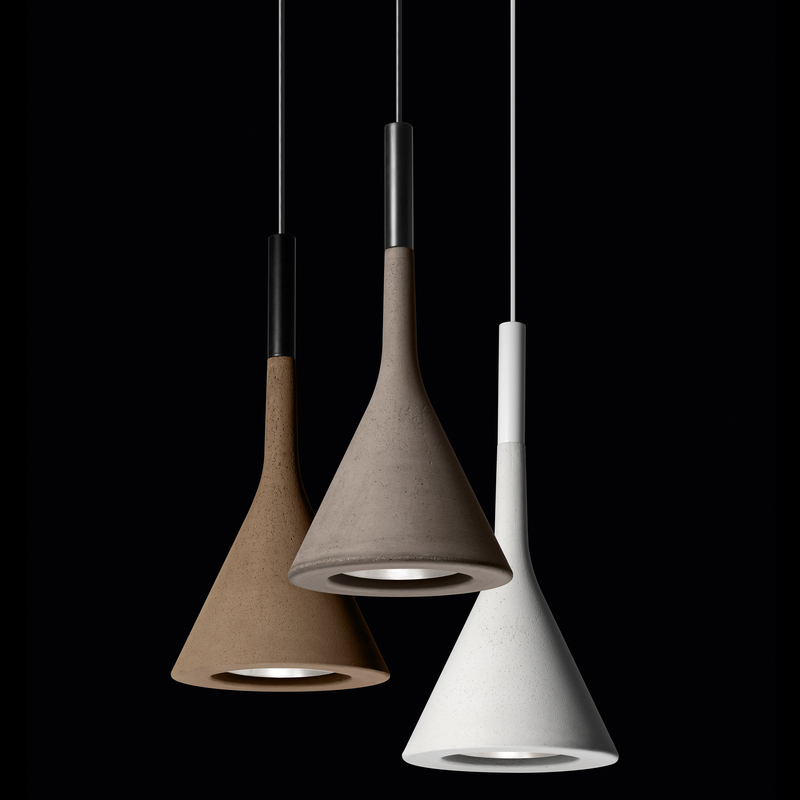 The latest releases keep with Foscarini’s tradition of using innovative materials with striking designs, like the Aplomb Pendant designed by Lucidi and Pevere. The Aplomb is a simple design made from concrete (! ), a ubiquitous material in modern architecture that is translated here from large-scale construction works to a small, elegant suspension light. Also newly available is Foscarini’s Binic Table Lamp from French designer Ionna Vautrin–small, colorful and playful, and quite possibly the cutest lamp ever. Am I right?